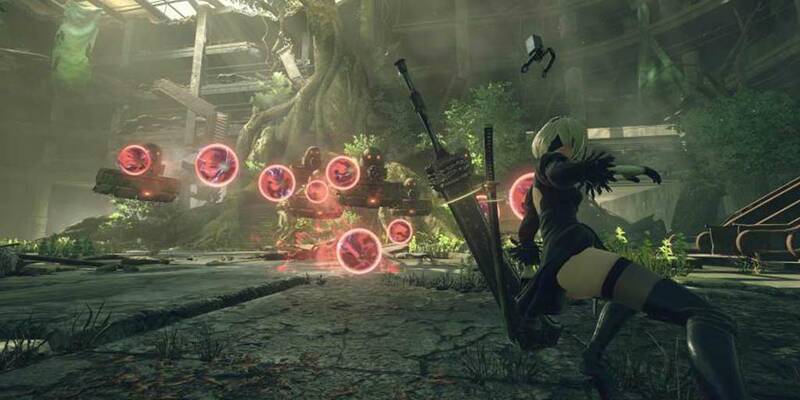 New Nier: Automata Trailer Shows Massive Boss Battles | Nerd Much? One of the most anticipated PS4 games of the year is dropping in a couple of weeks, and it’s one that not a lot of people are going to be playing right away because of the upcoming release of Horizon: Zero Dawn and the Nintendo Switch launch. However, Nier: Automata is definitely a game that’s on our radar. Square Enix has dropped a brand new trailer for the upcoming game, and it’s taking our level of excitement to another level. The new Nier: Automata trailer shows some massive battles, and it gives us an extensive look at the gameplay. What’s more, we get a significant peek at the environments. The game looks incredible, and it checks all the right boxes. Massive robots? Check. Cool abilities? Check. An interesting protagonist? Check. Hopefully, it can live up to the hype when it launches on March 7, 2017 for the PS4 and PC. For more of the latest game trailers, stay tuned to Nerdmuch.com.